The volume introduces and examines the Business Environment Model and presents methods of appraisal to examine the model, allowing students to view the business environment both internally and externally. It will help students to understand how business Organizations operate in political, social, technological, legal, and economic environments. Due to an increase in Globalization of business, a chapter has been dedicated to the international business environment, allowing students to connect what they have learnt in a broader global context. The book is planned to provide a logical treatment of the business environment in the Indian as well as international context. It will be a handy tool for the practicing business managers and also those general readers who would like to keep themselves au courant with the contemporary business environment. Contents:- Contents# 1. Business and its Environment 2. Labour Environment 3. Global Trends in Business and Management 4. Company and Business Acts in India 5. Nature of Company and Formation 6. International Business Environment. 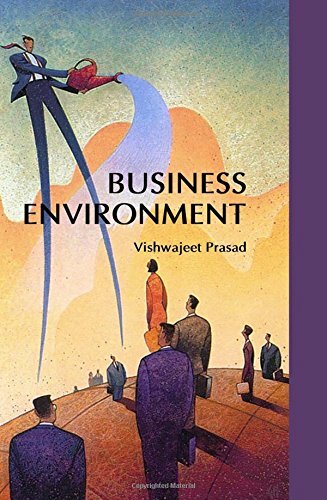 The Title 'Business Environment written/authored/edited by Vishwajeet Prasad', published in the year 2009. The ISBN 9788190867566 is assigned to the Hardcover version of this title. This book has total of pp. 322 (Pages). The publisher of this title is GenNext Publication. This Book is in English. The subject of this book is Management.